After Very Hardworking by contacting Toppers of Gate we have got GATE Physics (PH) Toppers Class Handwritten Notes. Here We Are Sharing GATE Toppers Classroom Handwritten Notes Of GATE Physics (PH) Branch Paper. These GATE Physics (PH) Toppers Handwritten Class Notes is printed with the high-quality printer so that visible quality should be the best. 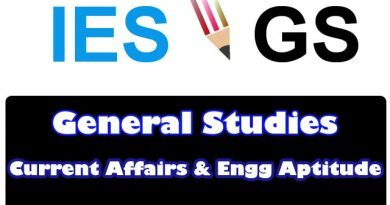 These Handwritten Notes are full of Quick Tips & Tricks Which Are Very Very Important For Your Exams Like GATE, PSUs Etc. 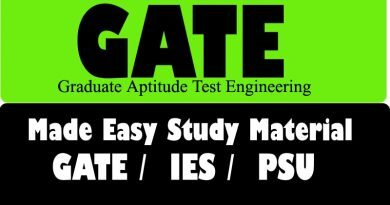 These handwritten notes of GATE Physics (PH) will help you to prepare different competitive exams like GATE, PSUs and so on. These GATE Toppers handwritten notes for GATE Physics (PH) will help you to understand all key concepts. Important Instruction: Just Prepare only with All above Listed GATE Toppers Handwritten Notes and Try to solve GATE previous years papers for the last 10 years at least 3 times. If you follow this instruction then you will definitely get Excellent marks in your GATE Exam.